Is your PC slow and annoying, takes more longer time at startup and shutdown. You have any difficulties while copying files, lunching application programs and even browsing web-pages or your important files were deleted accidentally. If yes, don’t worry! your problem is going to be solved now. In this post I will tell you how you can solve all of your PC problems at once. Why your PC Being Slow? Having lots of files on recycle bin, browsing history and internet cookies. Accidentally deleting system registry files. Tweakbit provides two most powerful products that can speedup overall performance of your PC, which are PC SpeedUp and FixMyPC. 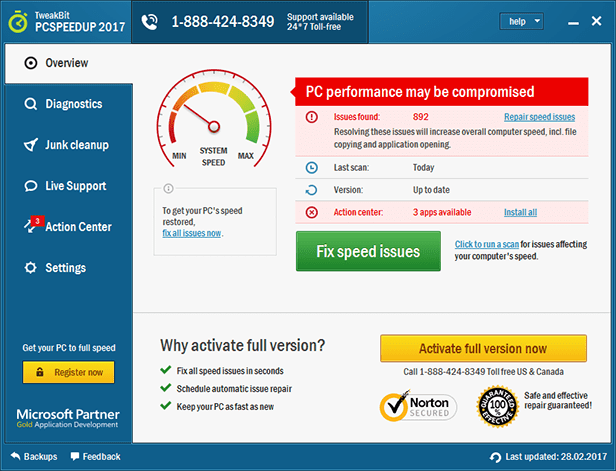 The PCSpeedUp tool performs advanced checkup and find out the factors that slowing down your PC, which also corrects registry errors with safely transferring files on healthy sectors, removes fragmentation using de-fragmentation utility, deletes temporary files automatically, removes unnecessary programs at startup and regularly empty your recycle bin. It also resolves incorrect system and internet settings along with improving PC startup and shutdown. It is integrated with automatic tools in order to make your run at optimal speed with optimizing CPU and memory utilization. You can also feel improvement on file open and save faster than before due to proper management of hard disk memory. shutdown (+45%). Watch the following video in order to know how PCSpeedUp works really. Following are the steps how you can download, install and run PCSpeedUp on your PC. At first Click Here to go PCSpeedUp download page. Click on “Download Now” button, the installation file will automatically started to download. After download finished double click on the downloaded file, it will started to install on your PC. When your installation have finished lunch the application with double clicking on the icon automatically created on desktop in order to start scanning of your PC. FixMyPC is powerful software tool to repair your PC system registry and ActiveX errors with cleaning out invalid keys, repair broken shortcuts and defragment the registry to make your PC more healthier and fast performance. 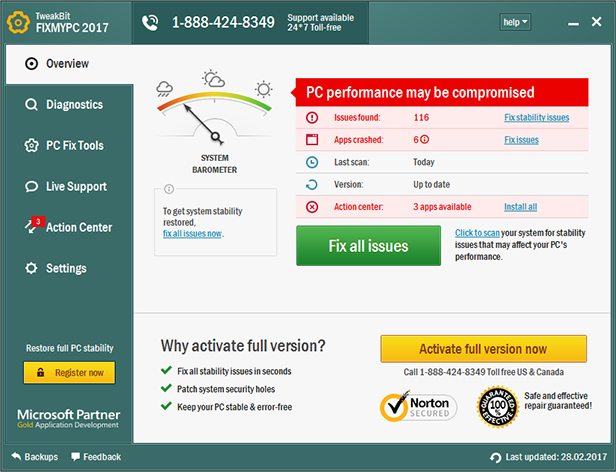 This tool is equipped with special tool which detects ActiveX errors and fix them to run your PC smoothly. The most important functions of this tool is performing real time maintenance using four powerful tools: remote registry protection, auto-run protection, desktop protection and live privacy protection tool. scanning your PC for resolving all of the errors on your PC. Following are the steps how you can download, install and run FixMyPC on your PC. At first Click Here to go FixMyPC download page. start scanning of your PC. Here are the most important reasons why TweakBit’s PC optimizations tools are different from all the other similar types of tools used for speeding up your PC and why you should try these tools for running your PC smoothly. All of the PC optimization tools provided by tweakbit are used and trusted by million users worldwide. 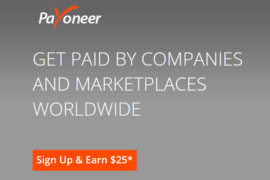 They have well managed frequently asked questions for pre-purchase, after-purchase and for any other technical problems you may have faced while using these tools. 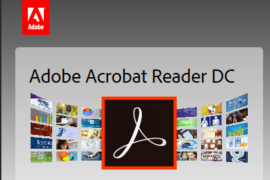 They have well documented user manuals for each tools on downloadable .pdf format. You will get full 30 days to test their software products on risk free. If you are not satisfied with them, you get a full refund without any question asked. You can find hundreds of best reviews provided by verified buyers of tweakbit products who are fully satisfied with the products. Use the following link to buy PC Speedup and use the code “TW30ASEVFMPS” for 30% discount while processing order for the product. Use the following link to buy FixMyPC and use the code “TW30ASEVFMPS” for 30% discount while processing order for the product.